Finally yes finally I manage a blog post! 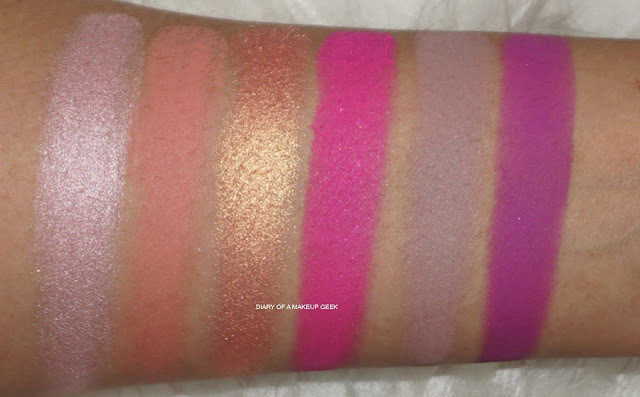 So I already created a look using this palette on the following link, however since I got the Jeffree Star Beauty Killer Palette (review here) and wasn't happy I never really got the Androgyny Palette in fact I steered well clear. 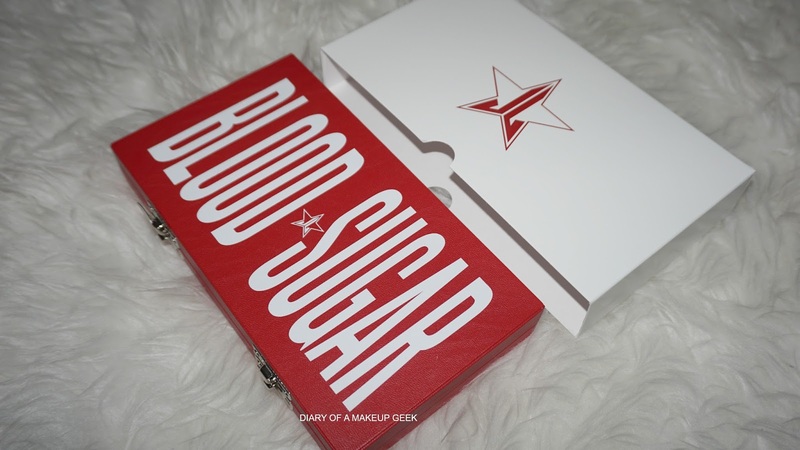 However when I saw the pictures unto the launch of the Jeffree Star Blood Sugar Palette I won't lie I was rather intrigued, for those of you that know me will know pinks and purples are my weakness without a second thought! So I waited it out until BeautyBay posted the first pre-sale batch before I placed my order. From ordering it took about a week or so before it was with me, roughly same time as everyone who ordered from Beautylish received theirs. Lets talk packaging definitely unique of its own type, designed as a small medical case, with flip up metal clips that clamp shut. The colours Jeffree chose for the packaging is red with white font keeping it very basic and in line with the theme he had in mind. 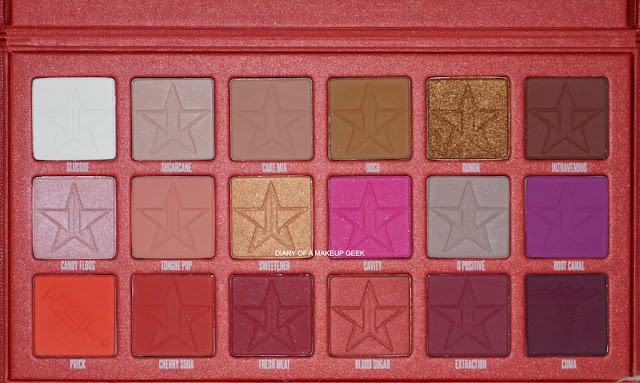 Inside some eyeshadows are imprinted with his star trademark whilst others have medical related symbols. I quite like the fact he has thought out of the box and created something away from your average palette. 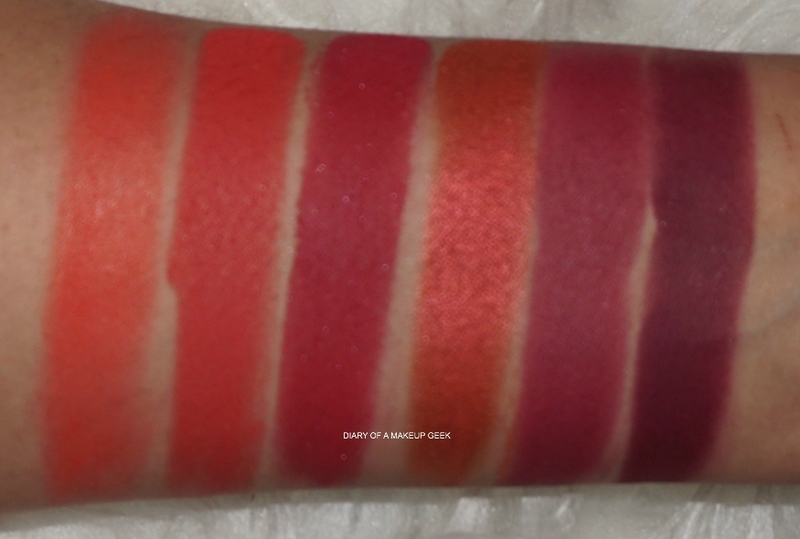 The shades are also pinks, purples, reds, with a few warm tones and shimmers. For me the shade that stood out the most would have to be Root Canal, definitely not a shade you see much of, similar shades yes but not this vivid violet kind of shade! I have to admit I was expecting a little more and something duo-chrome from the shades Candy Floss and Sweetner. The shade Donor I still haven't made my mind up on what I think, I don't know if I feel it is the perfect texture however from one swatch there is a pretty noticeable dip in the shade. 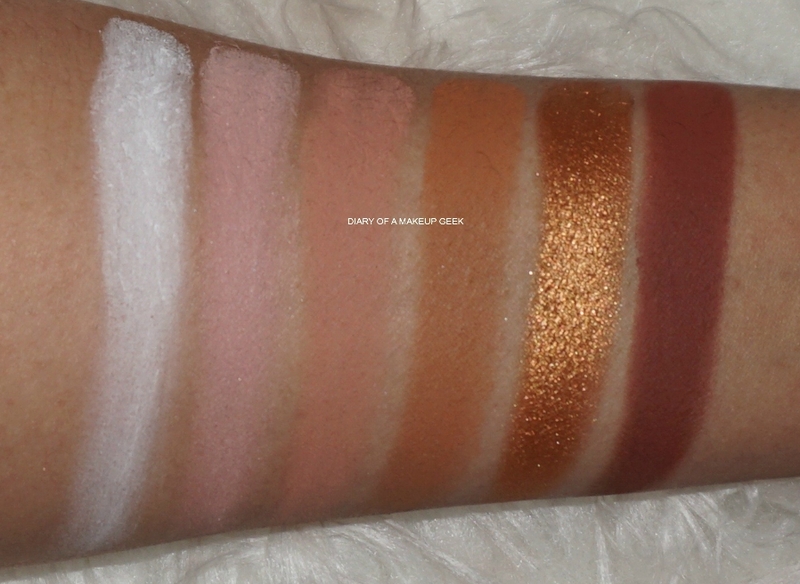 Finally I found the shade Prick pretty disappointing, swatches came off poor and patchy. 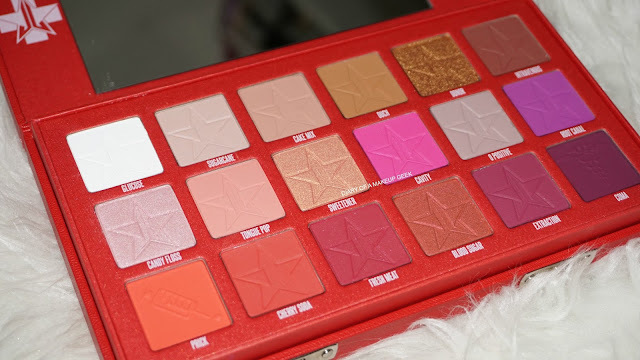 Overall I love the packaging and concept behind the palette, the one shade I can't seem to get on with is Prick its just rather disappointing! However I feel I really do like the rest of the shades on a whole, Cherry Soda is the total opposite to Prick, super pigmented and very easy to work with whilst it has amazing play off too! The pinks and purples definitely didn't fail or disappoint me! I guess until I have played with the palette and shades a fair few times I can't really say how I feel but I can say I do prefer this a hell of a lot more than the Androgyny palette, I also feel the price tag of £46 is worth it with this palette due to all the efforts gone into the packaging, designing and shade selections for this palette!